Ernesto and Luigi Gambonno were born in Milan, Italy. 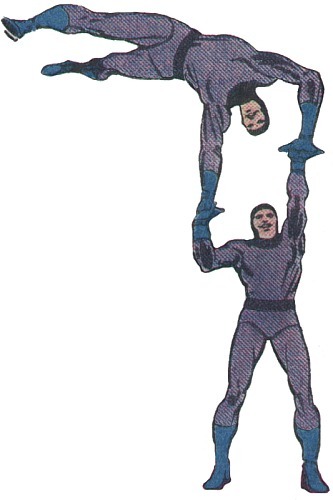 They are acrobats and aerialists that work for the criminal organization, the Circus of Crime. They are identical twins.